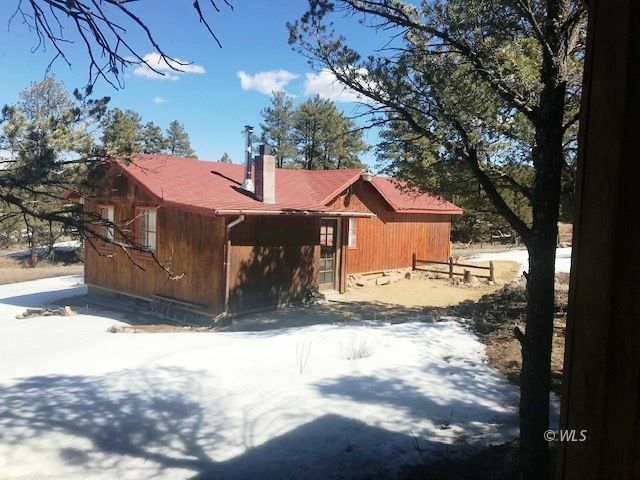 Here is a perfect little Colorado haven tucked into the woods where you can escape from the world. Bring your family to the place where dark sky nights inspire dreams of something greater. Enjoy the comfort of a cozy 1 bed, Â¾ bath, 640 SF cabin on over 22 acres with plenty of room for more family to bring their RV or tents to camp and have fun with you. Visit Westcliffe, the Sangres, Royal Gorge, and the Arkansas river for fun in the summer and winter. Ask about the potential return on investment possibility too. There are 3 lots, 3 wells. You can imagine a return on the property depending what you decide to do with it. Make your money back or just enjoy the solitude. Call Mike or Elizabeth today.